The folks who follow this site know about (and many of us are quite excited by) the approach of General Staff. What have you been working on since last we talked? We’ve been busy getting all the modules necessary for users to create their own scenarios (the Army Design module, the Map Design Module and the Scenario Design module) ready for beta testing. In the process we decided to make some major changes to the underlying file structures and rewrote a lot of code to make the entire General Staff project behave properly in future versions of Windows. We’ve also conducted a survey to select the thirty free scenarios that will be sent to early supporters of the General Staff Kickstarter campaign and researched the maps and Order of Battle tables for the scenarios. And then we’ve been busy trying to get the word out about the General Staff project in general. You’ve posted that the game has really become “two games in one”. What’s the difference between the two? When I first began designing General Staff I wanted to create a wargame about force on force maneuvering that would showcase my work on AI for tactical algorithms and terrain analysis and that would be fun and simple with an average game taking less than an hour. I wanted it to have a Kriegsspiel (Victorian era) look. I thought of it as an introductory wargame that might initiate a new generation to the genre. About six months into development, Slitherine/Matrix Games got wind of the project and contacted me. 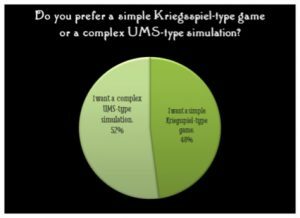 I sent them an early version and Iain McNeil from Slitherine got back to me saying that what people really wanted was another deeply detailed simulation in the incredibly successful UMS series. Fifty-two percent wanted a UMS type simulation and 48% wanted a simple Kriegsspiel type game. At this point I had to sit back and think about what I was going to do. More than anything, I wanted to create a wargame that the grognards wanted to play; and, clearly, they were almost equally divided on what they wanted. After a great deal of thought I realized that a complex simulation and a simple Kriegsspiel game still shared about 90% of the same code, the same data files and the same AI routines. So I decided to make General Staff actually two games in one and the user can decide which version he wants to play whenever he runs the game. Note the headquarters units. In simulation mode orders are given from the commander to the subordinate commander and then passed down to the individual unit. In other words, if you want a specific unit to advance 1,500 yards and perform a right wheel maneuver those orders start at the General Staff level and then are passed down the chain of command using couriers. 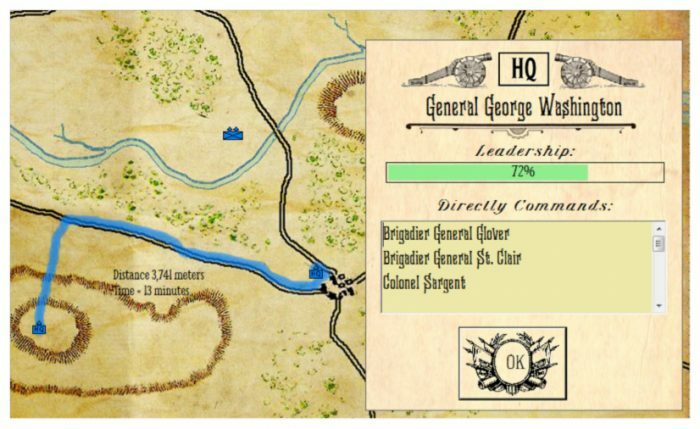 In this screen shot you can see it will take 13 minutes (plus a random times Washington’s leadership value) for a courier to reach the subordinate commander. 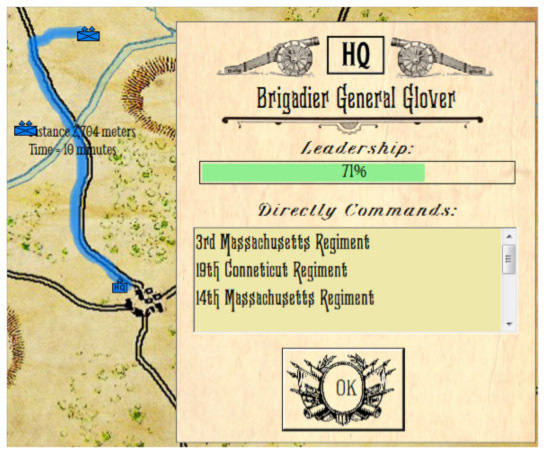 In this screen shot you can see it will take 10 minutes (plus a random times General Glover’s leadership value) for a courier to reach the unit. So to issue an order to the infantry unit will take at least 23 minutes plus penalties for Leadership Value. In this screen shot you can see all the values that we track in Simulation mode: Actual Strength, Leadership, Unit Quality, Unit Morale and remaining number of Volleys. 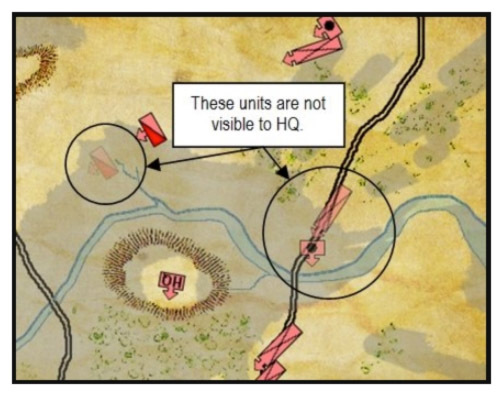 In the above screen shot the Red HQ unit cannot directly observe some subordinate units. The last known (directly observed) position of the unit is displayed and slowly fades out over time. Units report their current position back up the chain of command by courier; just like orders are transmitted down the chain of command. Enemy unit positions are also reported by friendly units via courier. We simulate the complexities of the command structure using couriers to deliver orders down the chain of command. We factor in the Leadership value for commanders and this determines how quickly couriers are dispatched and orders are executed. We count each volley. When a unit is out of ammunition it must resupply from a supply wagon. We factor in the Unit Quality when calculating combat resolution. We factor in Unit Morale when calculating combat resolution and how quickly a unit will retreat. Unit Morale can go up and down during a battle. We deduct casualties from a unit’s Strength. The positions of both friendly and enemy units that are not directly observable are reported by courier up the chain of command. Above is a partial screen shot showing General Staff in Kriegsspiel mode. All the Headquarters units have been removed because units are moved directly by simply clicking on them and issuing orders. Units move immediately (there is no delay for couriers transmitting orders). Unit strength is not measured in individual troop numbers; rather unit strength is represented by the physical units on the map. Notice how in the above screen capture three cavalry squadrons now appear where previously only one large cavalry icon was displayed. Some infantry units are now represented by three or four battalions of troops; individual artillery batteries are now displayed. After combat units are removed from the map. There are no ‘partial units’ or ‘steps’ in of unit reduction. 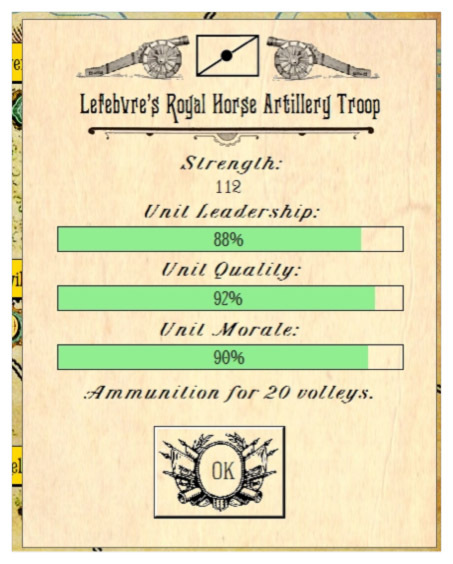 Unit Leadership, Unit Morale and Unit Quality are ignored; as is the amount of Ammunition remaining. 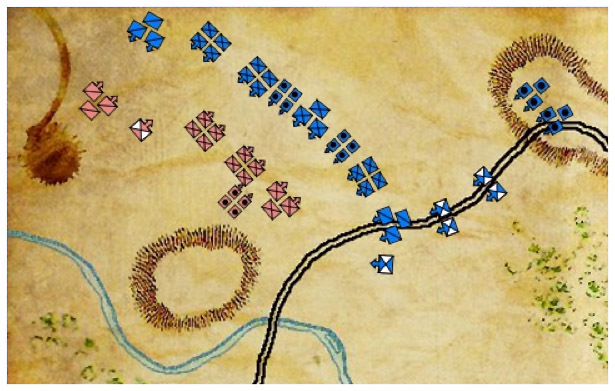 Supply units only exist for Victory Conditions (some scenarios require a minimum number of supply wagons to be captured to win). Any enemy unit that is observable by any friendly unit is immediately visible. So, yes, General Staff has two different modes of play: a complex Simulation mode where all factors are considered and orders and observations are passed up and down the chain of command, and a Kriegsspiel mode which is simpler and closer to my original design. You’ve commented to me off-line that one of the things that makes General Staff special is that it’s been a while since there’s been a widely-available wargame construction set. I ask as a professed fan of your UMS as well as games like Wargame Construction Set and Tanks: why do you think there has been such a drought of these games for, honestly, several decades? I asked around on the forums to see what other ‘wargame construction set’ type programs had come out since the ‘80s and ‘90s and the list was pretty small. Obviously, there was UMS and UMS II and the Wargame Construction Set. A few people mentioned the Age of Rifles (which is actually Wargame Construction Set III and was also published in the’90s). I have also worked with the US Army’s wargame construction program, OneSAF, which had a budget of $1.6 billion. However, I feel pretty comfortable saying that General Staff is the first commercially available “suite of wargame construction tools” in at least twenty years. However, I feel pretty comfortable saying that General Staff is the first commercially available “suite of wargame construction tools” in at least twenty years. Creating a suite of programs for users to create a wargame is, in many ways, not unlike creating a Microsoft Office-like suite of integrated programs. A map editing program is basically a three dimensional paint program. An army editing program is like writing a word processor in a way and a scenario editing program involves a lot of data manipulation coupled with an intuitive interface. Each of these programs would normally be written by a programming group with a good budget and a reasonably long development schedule. So, under normal circumstances, writing a detailed and easy to use, wargame construction program takes a lot of time, people and money. I worked single-handedly on it for two and a half years. Luckily, while asking some questions on the Microsoft Developer’s Forum, I found Andy O’Neill, (he is ranked in the top 0.1% of Microsoft programmers, has 10 gold awards, 14 silver awards and 19 bronze programming awards and was awarded the gold medal for the Microsoft Technical Guru in April 2015). But, most importantly, Andy is a wargamer. He stepped in and has been a real lifesaver doing a lot of the heavy lifting to make the General Staff Wargaming System Microsoft Windows friendly and ensure that it will be compatible in the future. For more information about Andy and to see some of his hand painted miniatures head over here. I don’t know as I’ve ever asked: what time period will General Staff cover? General Staff covers the Age of Gunpowder (17th, 18th and 19th centuries). So much of what we think of as “wargaming” is about doctrine, formations, weaponry, and other period-specific information. How do you design a game sufficiently flexible to cover multiple periods/conflicts and still do justice to the different eras? General Staff is really an Age of Gunpowder simulation covering warfare in the 17th, 18th and 19th centuries. I hope to follow it up with General Staff: Ancient Warfare and General Staff: Modern Warfare. Trying to create an overarching AI that is competent across all time periods is a fool’s errand. 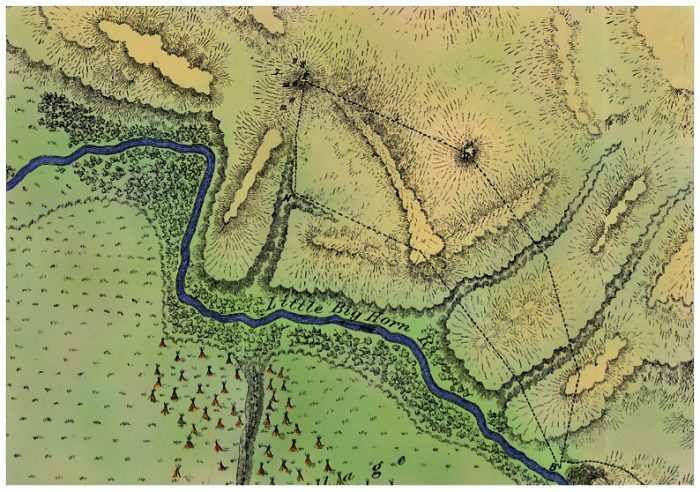 Obviously, tactics, weapons and formations were completely different during the time of ancient warfare than during the Age of Gunpowder; effective long range weapons and massed firepower changed everything. The biggest challenge with modeling modern warfare is airpower; it literally adds a new dimension. Paratroops and air assault are also part of that AI problem. 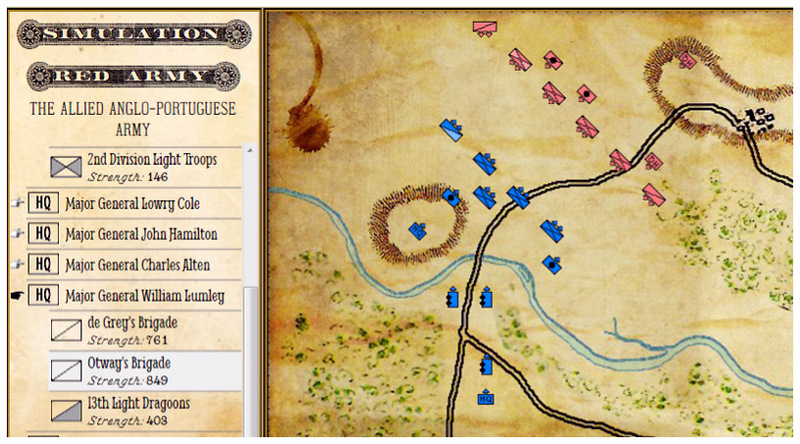 You’ve shown images of the army builder and the map creator, but so far we’ve not seen armies actually clashing. What will maneuver and combat resolution look like? Is General Staff turn based? Real-time? WEGO? The hardest part of a project like General Staff is creating the army editing, map editing and scenario editing programs. Once you’ve done that you’ve already written all the code for loading, saving, displaying and manipulating the data structures (3D maps, armies, scenarios, etc.) that you will need and, in my case, you’ve already written and tested the AI. So, after two and a half years you take a deep breath and you realize that you’re about 85% finished. The whole time I’ve had a very clear picture of what General Staff will look like (my artistic vision is what Kriegsspiel would look like in the Victorian era if they had modern computers). All this time I’ve kept a design blog which I encourage your readers to explore. When I teach computer game design at the university level this is what I teach my students: have a clear vision of what your project is going to look like and everything you do during development should be geared towards that end. We’re not going to get too heavy on animation and, personally, I find battle sound effects repetitive after a while. After giving orders (you can take as much time as you like) both sides simultaneously move and combat is resolved. Would you call this IGOWEGO? I feel bad that I can’t post any screen captures of the actual game, yet. You’ve opened up a forum dedicated to the game here at GrogHeads.com. What sort of information are you hoping to get from this army of rogues, ruffians, and ne’er-do-wells? I’ve always depended very heavily on feedback from users to create the wargame that they want. General Staff was designed for, and by, Grognards. I can’t say this often enough: I want to hear from you! Do I gather that you’re planning to take General Staff to KickStarter? What prompted that decision and when do you expect it to begin? I’ve been working steadily on General Staff for a very long time without a paycheck. I would prefer to wait until everything is done and then just put it on Steam but I’ve got a leaky roof that needs to be fixed (I’m not kidding). So, I’ve decided to do a Kickstarter campaign. When will the Kickstarter campaign go live? Jim, when you tell me that this interview has been published on Grogheads! And, of course, the big question: when do we get to play? 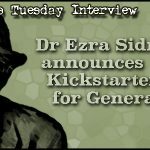 Backers of the General Staff Kickstarter campaign will have the option to be beta testers and should start getting builds for testing around March 2018. If you aren’t part of that group, you’re probably looking at third quarter 2018 on Steam. Thanks to Dr Sidran for taking time to answer some questions for us!